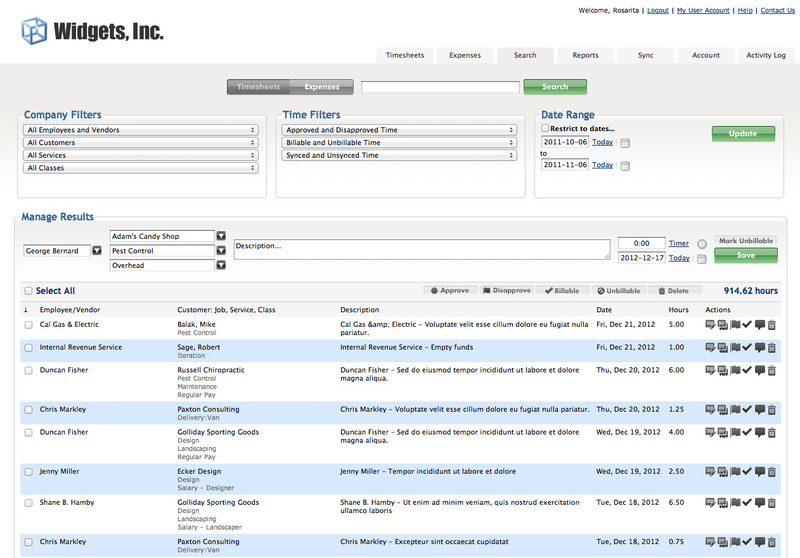 Employees and contractors can enter time, managers can view all timesheets in a single view or isolate by name. 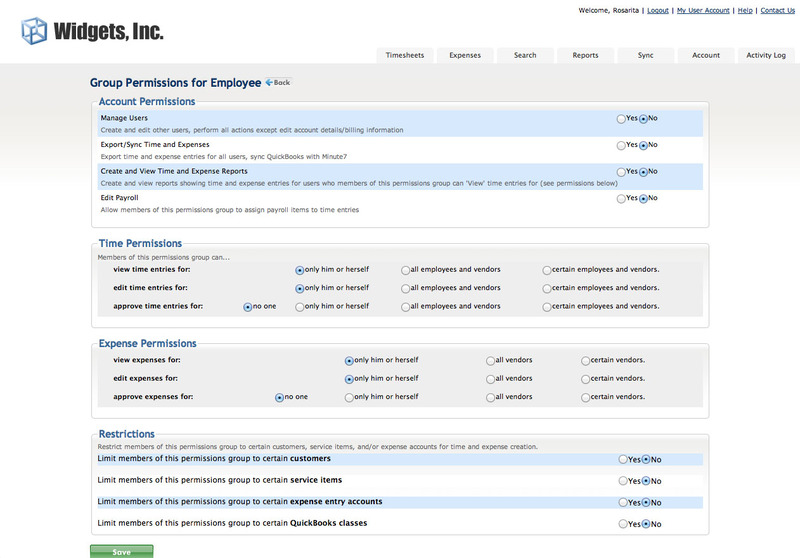 Employees and vendors can enter expenses and group expenses with bills for a customer or job. 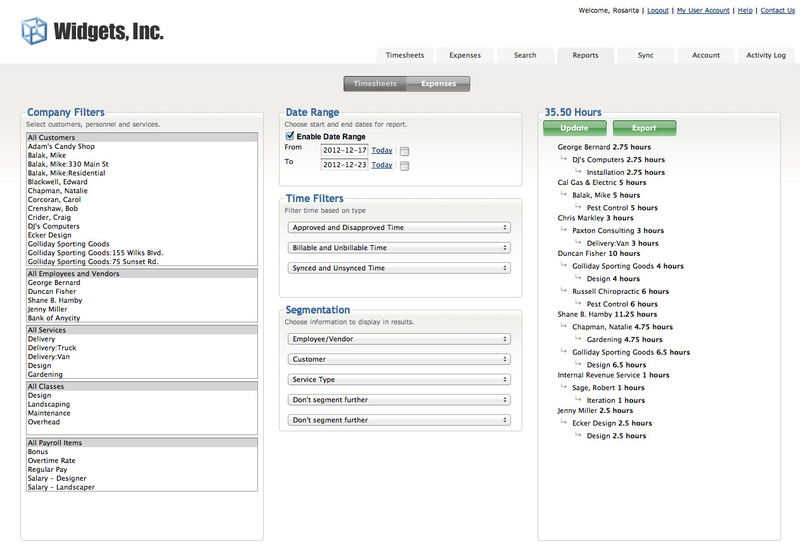 Search Timesheets and Expenses, filter results, and batch edit results. 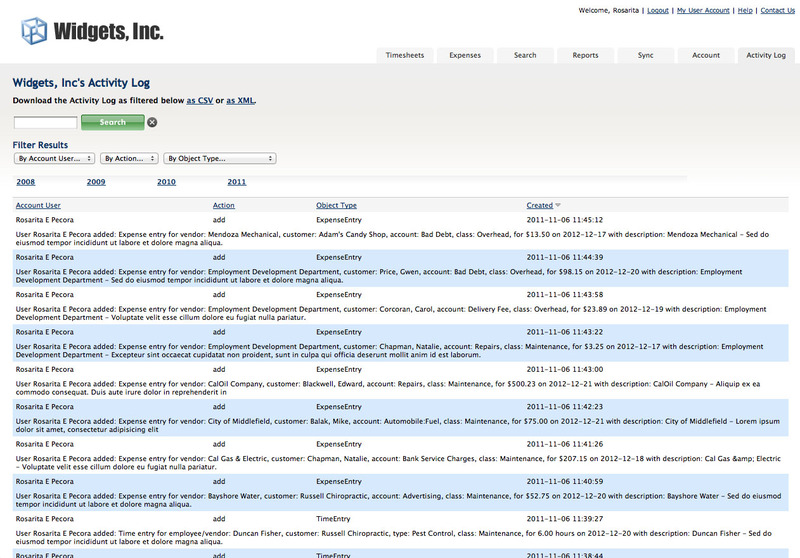 Run quick reports to see where all the time is going. Segmentation allows for detail drilldown. 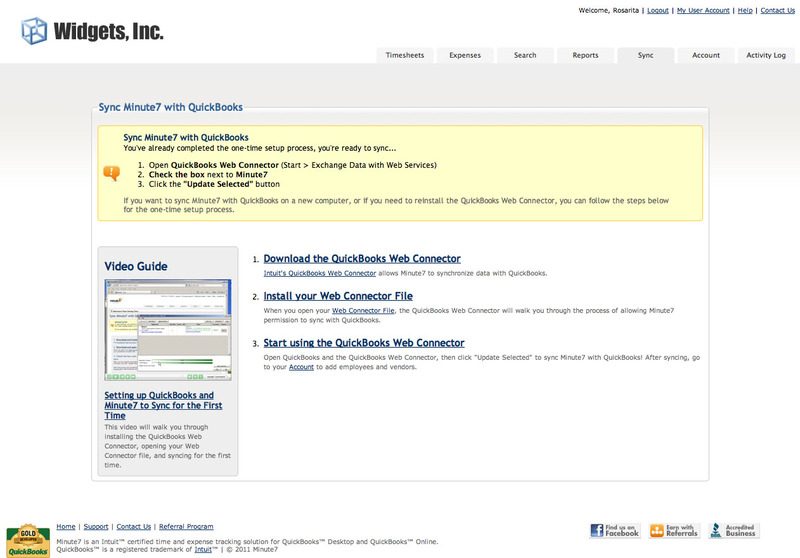 Setup your PC and QuickBooks account to allow syncing with Minute7. After the initial setup, it's a one-click sync. 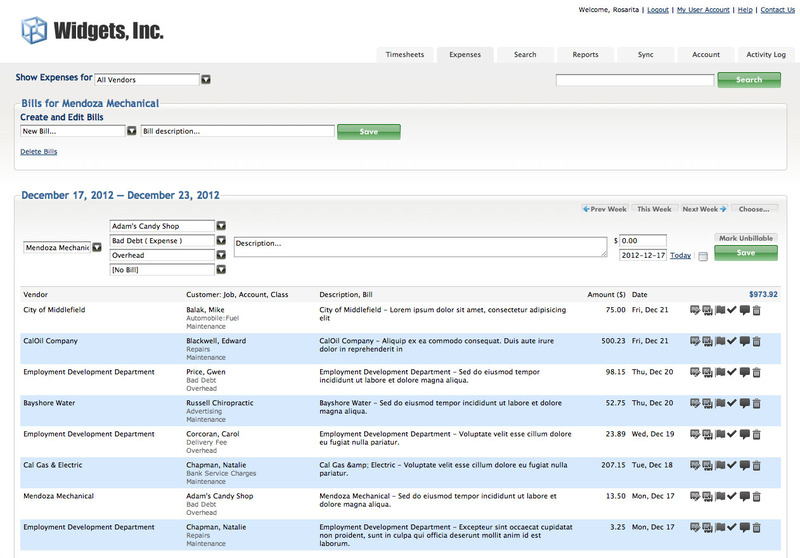 Manage billing information, company preferences, users and groups. 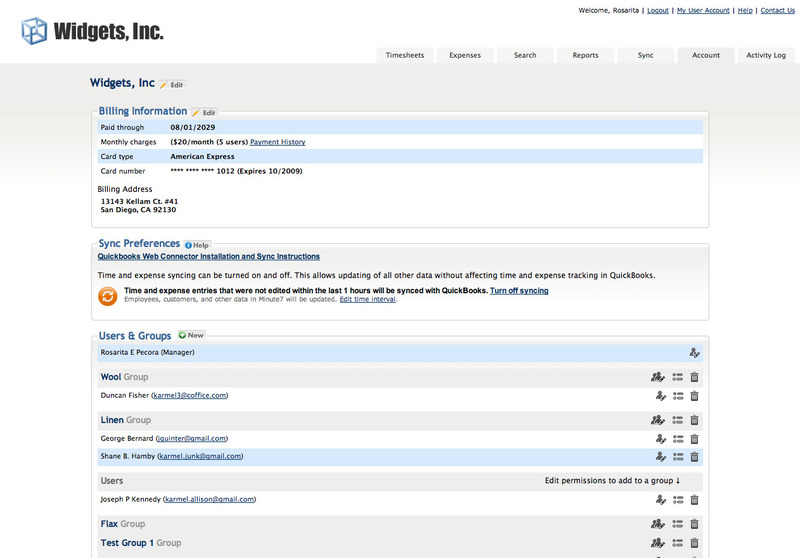 Manage user access and privileges. 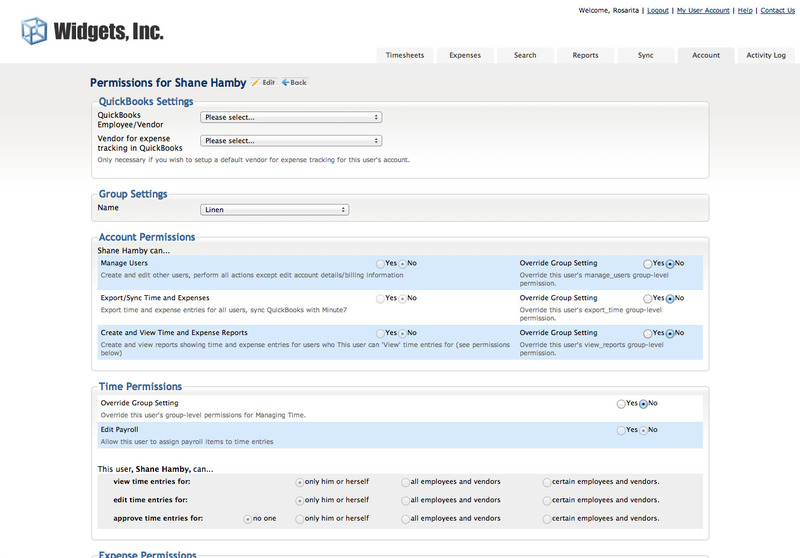 Manage multiple users' access and privileges by configuring groups. 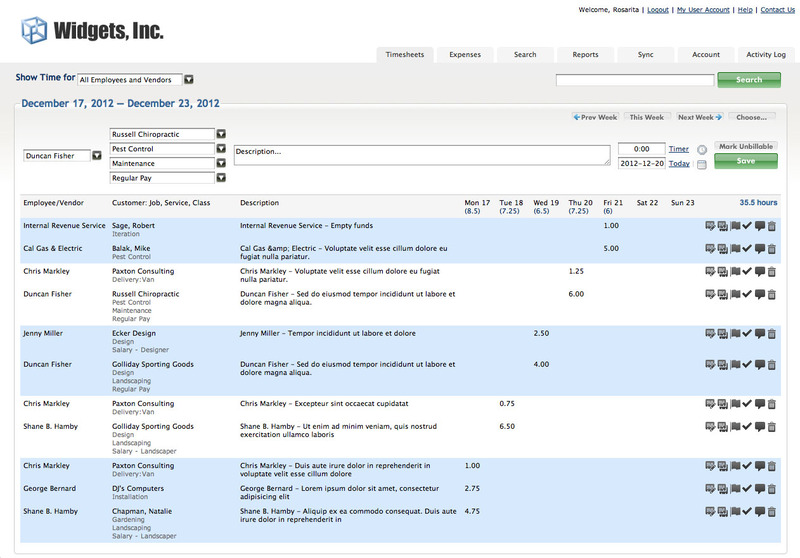 View user interaction on Minute7.